Remember how James Garner and Mariette Hartley used to explain how there was “a little piece of the sun” in each Polaroid camera? Elsa Dorfman was using an unusually large piece. 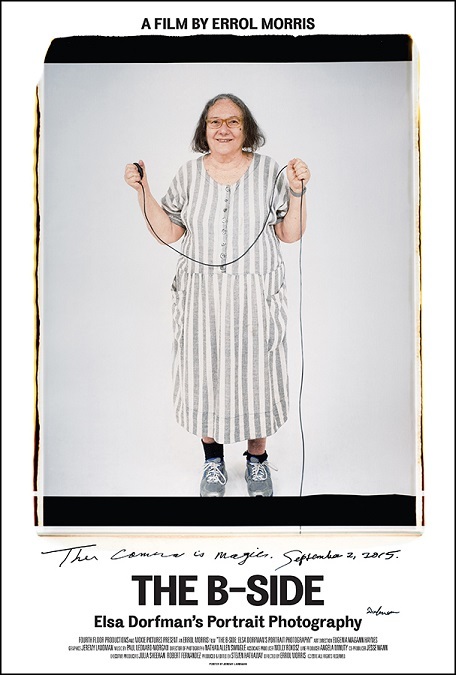 For years, she was one of a handful of artists using a limited large format 20x24 Polaroid camera. She was usually relegated to the lower ranks of galleriable photographers, even among Polaroid artists. However, just as her critical stock started to rise, Polaroid discontinued its film production. 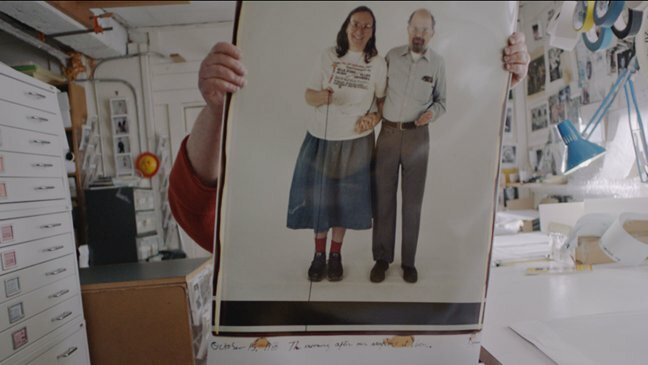 The now retired artist takes stock of her life and work with her friend and documentarian Errol Morris in The B-Side: Elsa Dorfman’s Portrait Photography, which screens during the 54th New York Film Festival. It is rather pleasant spending seventy-some minutes with Dorfman and the concerns she expresses regarding the disposal of her archive for posterity (evidently a problem many just-famous-enough photographers her age share) gives one pause. However, this just does not feel like an Errol Morris documentary. It is not because of the relatively upbeat tone. Fast, Cheap, and Out of Control is a wonderfully charming film, but it clearly bears his stamp as a doc auteur. Frankly, B-Side could have been made by any competent filmmaker with a camera. One could argue that as an old customer and pal, Morris put Dorfman at ease and encouraged her to speak freely. That’s fair enough as far as it goes. Still, as nice as it is, the final product is undeniable on the slight side of the spectrum of cinematic significance. Most viewers can safely wait until PBS broadcasts it or Fandor (or someone else) streams it. For diehard Morris and Dorfman fans, The B-Sides screens October 9th, 10th, 12th, and 16th as part of this year’s NYFF.